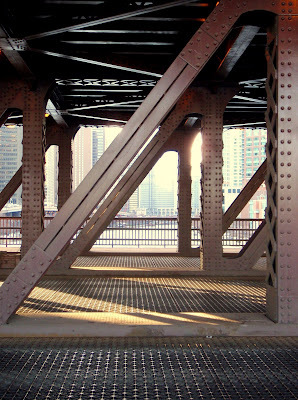 created by the bridge supports, the sunlight and the shadows. Nice shot. It makes me want a "cheeseburger" at the Billy Goat Tavern. Like everything about it. It pays to photograph the not so obvious angles like this to get great shots.